The Major Cycleways are likely to feature a mix of different types of infrastructure for cycling. 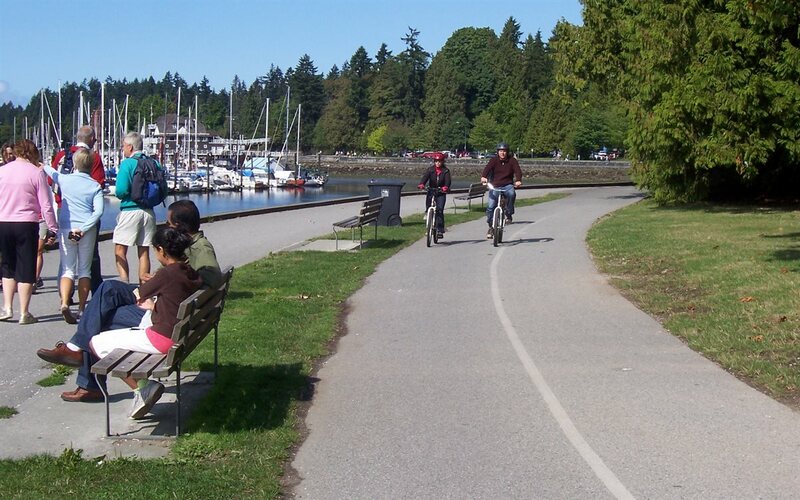 Some of it will be separated bikeways (especially along busier roads), some of it will be “neighbourhood greenways” shared with traffic along quieter streets, and some of it will be shared pathways along off-road corridors. The latter type of facility has recently been receiving some attention, thanks to proposed plans to develop a widened shared path in South Hagley Park as part of the first Accessible City projects. 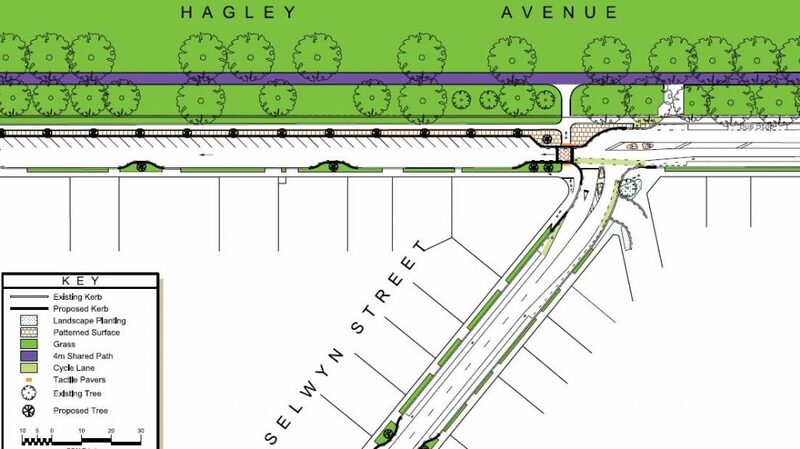 Out of the woodwork, a number of groups have expressed concerns about the proposed widened path (which will connect the Little River Link Cycleway from Grove Rd into town), particularly the potential “threat” of sharing with fast-moving cyclists. These issues were raised in the initial consultation process and led to a number of deputations at yesterday’s City Council meeting. In the end, the Council has decided to stick with its original plan to introduce the 4m-wide shared facility (it should be noted that in this particular case, there were also potential difficulties in providing two separate facilities side-by-side due to the impacts on the adjacent tree roots). I can understand many of the concerns expressed about conflicts on pathways; I experience these personally each day that I ride through Hagley Park on my way to work. Whether it’s a pair of joggers, another cyclist, a mothers’ walking group with prams, or whatever, invariably I will encounter a number of situations where I have to either slow down or swerve off-path to avoid a collision. I use my bell when I think I need to, and usually that seems to result in a clear gap opening up (tip: saying “thanks” as you ride past is good manners! ), but it does always feel like I’m imposing on other path users. And I have some sympathy for vision-impaired path users, who may feel even more threatened by the looming presence of a fast-moving bike but not know exactly where it is. 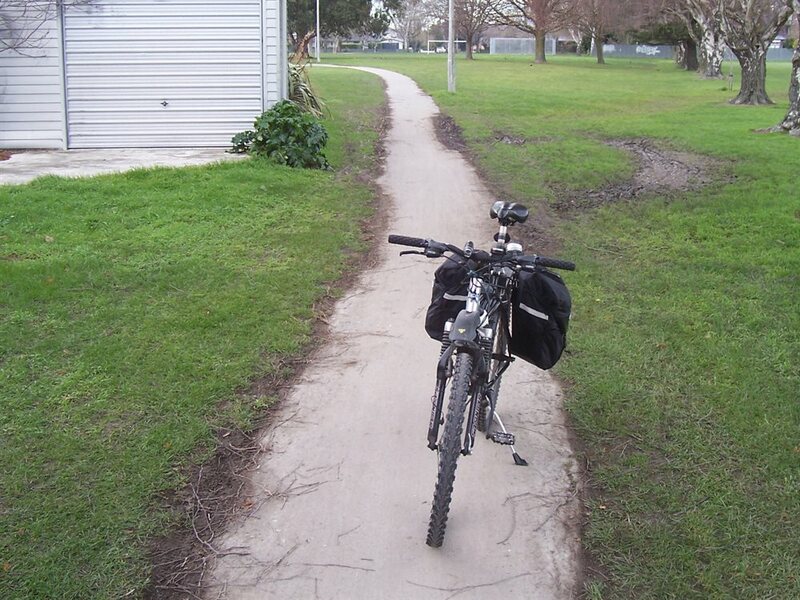 If some shared paths in Christchurch can barely fit a bike width, how do we expect people to share? Of course, the main reason that we have to do this little negotiation is because there is simply not enough width provided on most paths in Christchurch. As with most cycling facilities, traditionally we have skimped on adequate space (narrow cycle lanes anyone?) – it would be like building Blenheim Road only 6m wide and wondering why there was so much friction (“well, that’s enough for two trucks to pass, what more do you want?”). I would argue that most people who are concerned with shared paths are basing their experiences on our (currently poor) existing pathway networks. In my assessment of shared pathways around the city, I can only think of two that I’d say have adequate width/capacity for the peak demands on them: the new Southern Motorway pathway (and that may grow as more people live out there) and the Sumner-Scarborough Esplanade. None of Hagley Park’s paths meet the existing user demand (let alone future growth)… The proposed 4m path for example will replace one that isn’t even 2m wide. A sufficiently wide path can alleviate most of those conflict problems immediately because there is no conflict – everyone has some space. Sometimes that might only need to be 3m wide (enough for three people to go past each other), but if it’s busy enough you will need even more width. While having a wider path will remove many of your problems, you can also get more out of a path if you encourage people (of all modes) to stick to some simple “rules of engagement”. 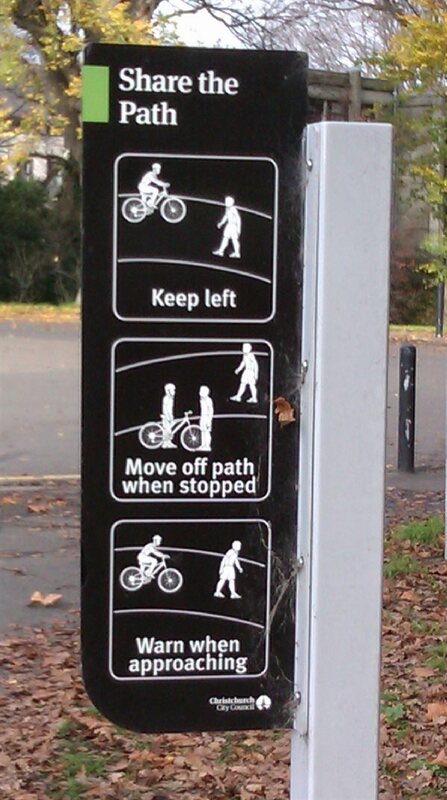 Things like “keep left unless passing”, “sound a warning before approaching”, “get off the path when stopped” can go a long way towards improving relations between everyone. We’re starting to see a few signs installed within Hagley Park encouraging these behaviours. You can also encourage important ones like “keep left” using simple pathway markings every now and then, like they’ve done in Nelson. OK, but why not just stick a line down the middle of the 4m and put bikes on one side and pedestrians on the other? Basically it doesn’t provide an optimal solution for either party; both will be squeezed into smaller spaces that won’t always work when groups are present. It also tends to create “turf wars” where people get told off for entering “enemy territory” (perhaps to get around one of those groups). And then along comes the person on a skateboard, or the kid on a trike – which side exactly are they meant to use? No, far better with a single path to separate by direction and encourage people to behave like it was a road – we’re already used to that system. Still, there must come a point when separated facilities make sense. Yep, just like there’s an upper limit to safely sharing roads between cars and bikes, if path volumes get high enough then separate facilities are warranted. In recent years, research has been undertaken in this part of the world to work just what those “high enough” volumes might be, so now there are useful guidelines from the likes of VicRoads in Australia to look at (we don’t have any NZ-specific guidance, but I can’t see why we would be any different from our Tasman neighbours). While we would expect the new cycling facilities proposed along Hagley Ave to attract more riders (just being able to get across Moorhouse Ave easily will make a difference for a start), it’s hard to know just exactly how much extra demand we will see along there. Hence the thinking to start with a shared facility and see how the numbers change. If there is a massive increase in path users, and it is clearly causing problems, then Council can roll out an additional pathway to provide separated facilities. Even then, I’m not entirely convinced that people will always use the correct facility – I quite often see pedestrians using the separated bikeways along Tennyson St and Matai St – but if there is enough capacity overall then it may not matter. It’s clear that there is no consensus on this matter; there will still always be some entrenched “separatists” who don’t believe that shared paths can work and want separated facilities in all cases. However, rather like the same debate that occurs on roads, it not always practical or necessary to provide separate facilities for cycling – and indeed impossible to provide them absolutely everywhere. So for the foreseeable future we will still need to continue to “play nicely together” – and hopefully we’ll have good infrastructure to help make that easier to do. 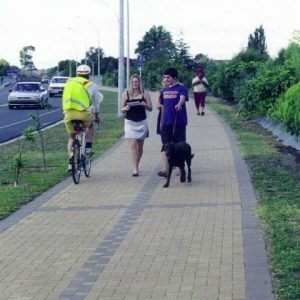 What do you think about Shared Paths? Can they work? I am not a fan of shared pathways, the one I use daily is a pain as pedestrians and other cyclists don’t seem to have any fixed path and pedestrians in particular are prone to randomly stopping or changing direction abruptly! The closing speed is also far greater between a bike and a pedestrian (5:1) than a car and a bike (typically 1.5 to 3.5:1) giving you less time to react! I would be keen to see marked lanes or at the very least decent signage to indicate an expected etiquette. I am generally not in favour of shared pathways either. They are never wide enough, nor sufficiently delineated, at least here in Christchurch. The new South Hagley Park example paralleling Hagley Ave. is no exception, even if a much touted 4m wide. Speed differential as you note is one thing; the others are that shared path pedestrians more often than not walk erratically and dangerously, walk dogs off the leash portraying very epitome of dogleggedly, and more often than not are “wired for sound” with earphones so do not hear a friendly announcement of “on your right” or equivalent of an approaching cyclist. I avoid the dedicated cycleways we have for these reasons unless, and only unless, they significantly reduce my travel time, or obviate the need to traverse a road too dangerous even for this confident cyclist to encounter. This is rare, however. For all the evidence in the support of dedicated cycleways in increasing bicycling – but not as a solution to cure all ills – I prefer that they did not need to exist in the first place. Seriously deluded wishful thinking aside that the law as well as driver behaviour is going to get it right any time soon, I think we need to keep the need for, as well as the benefit and cost of cycleways in proportion. I much, much, much prefer regular roads of all kinds which are designed with cyclists in mind. I prefer speed limits reduced to 30kmph in busy, highly developed and/or complicated road situations. But MUCH, MUCH more, I desire an adequately skilled and observant motor vehicle driver population that actually gets that cyclists exist! And cyclists whom are equally up to the task. This also raises the question of what happens if all of this works and we get lots of nice, fully utilised separated cycleways… all full of people cruising at 18 km/h. I would find it very frustrating to have to ride that slowly. I wonder how that works out in places like Copenhagen. Perhaps they just learn to be patient and slow down? 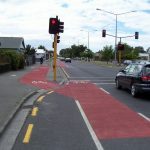 It needs to be easily seen, intuitive to use, at intersections so cyclists know it is there to be used. Here in Barcelona the shared pathways seem to work well. But then again I’m a cyclist so when I’m walking I’m always conscious of my son and keeping him out of cyclists’ way. It has to be about educating pedestrians as well. I am somewhat sceptical, but as you eluded to, this is probably due to my experiences on the existing shared paths around Hagley Park. Come summer, half of my trip involves swerving off the path around walkers. Skinny (commuting) tires don’t make this very fun. grin watch the mud on the south hagley park, through the rugby fields! An off there once put my pedal into the grass while the bike was still vertical ! I also think that some form of separation is best, but if it must be shared, then some kind of centre line that makes it look like a road would be best, along with bike symbols painted on the road and occasional signs. It needs to give pedestrians the sense that they’re on a cycle road, not just a footpath. Of course, speed is an issue too. On commuting paths then cyclists will be going faster, but if it’s a recreational path, then cyclists should slow down and take it easy a bit. One difference I note from videos of overseas cycling compared to here is that people generally seem to go a lot slower on much more relaxed, upright bikes, which would lessen some of the pedestrian issues. It will be interesting to see what happens to speeds here as the numbers of cyclists increase. “caters for thousands on its busiest days, thanks to width and path use behaviour”. Seems to me that “behaviour” is the most critical item. I disagree the path needs to be wide enough to handle the number of people using it. The current paths are not much more than a meter wide. No passing space at all. Even single file I wouldn’t want a cyclist going past me in such a narrow space at any speed. Didn’t intend it to mean some wider paths are not required. What I was meaning is that improving behaviour is the easiest & luckily most cost effective win. Often I come across blissfully unaware dog walkers with extending leads using whole wide path & then some! The new keep left signs & some centre line paint will be most welcomed. Fact remains no matter how wide the paths or roads become, or marked & signed, or even segregated, without improved behaviour they will never be wide enough or safe enough. Unless we get educated there will always be people blocking them or using them inappropriately. Chch commuters, whatever mode of transport they chose, do tend to be a lot more arrogant than in many other countries. I very much agree with your comments about keeping left (or right depending on local rules) on shared paths. One of my frustrations as both a cyclist and pedestrian is that people walking on most paths tend to spread out across the path and not keep to one side. If alone they tend to walk along the centre. 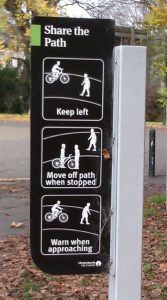 This makes it difficult for both cyclists and other pedestrians to pass, either from behind or when coming from an opposing direction, as you are never quite sure what side to go by on and what direction the pedestrians will move. I wonder whether this has something to do with walking now being very much a form of recreation as opposed to travel. As a recreation people do it in a more relaxed informal way and don’t as easily empathise with those in more of a hurry. 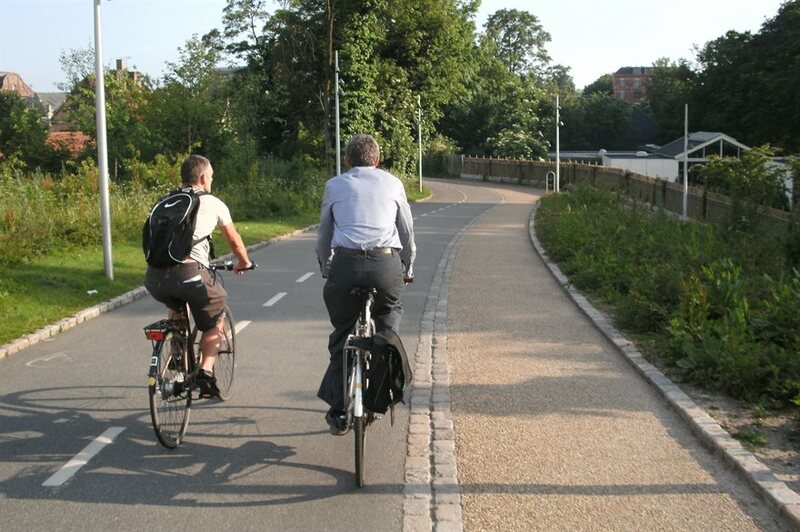 As an aside in Bristol UK, where I am now living, there are a number of well designed shared paths – most were built a cycleways but are used by both cyclists and pedestrians with little conflict. There are a number of more interesting shared paths as well the most interesting is a 1.5 metre wide footpath with a white line down the middle. The road side is for cyclist (who in theory are only supposed to travel in one direction along it) the other for pedestrians. 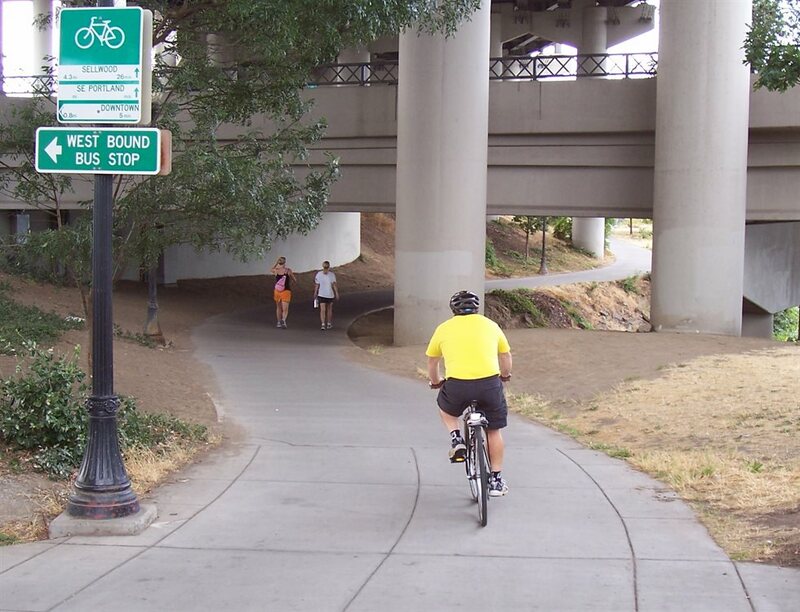 This is a frequently used path by both cyclists and pedestrians. Good use of the bell and general tolerance makes it work surprisingly well. Most of the concerns raised in previous comments reinforce the original message – shared path widths need to be wider than most of the paths currently in Hagley Park. For example, the ones on the west side of the park alongside Deans Avenue are about 2.2 m wide. They should be a minimum of 3 m wide, and wider if volumes of pedestrians (including dog-walkers, rollerbladers, etc) and people cycling warrant it. Shared paths now being built in Toronto are 3.5 m wide. In Brisbane, new paths are a minimum of 3 m wide and if pedestrian volumes are high, separate walking paths are provided where space is available. The Bicentennial Bikeway, the jewel in the crown of the Brisbane bikeway network, is 3.5 m wide with an additional 2 m wide adjacent walkway with a different surface colour. It carries about 3,500 cycles per day and 1,500 pedestrians. Shared paths are likely to function well in most situations in Christchurch as the volumes of users will be much lower than on the Bicentennial Bikeway in Brisbane. But we should expect rapid growth of users as the city redevelops and as active transport continues to grow, so planners should look to the future and ensure that facilities being built now are “future-proofed”.